Our SS17 Polo Ralph Lauren collection has arrived and it’s a goodie (even if we do say ourselves!). 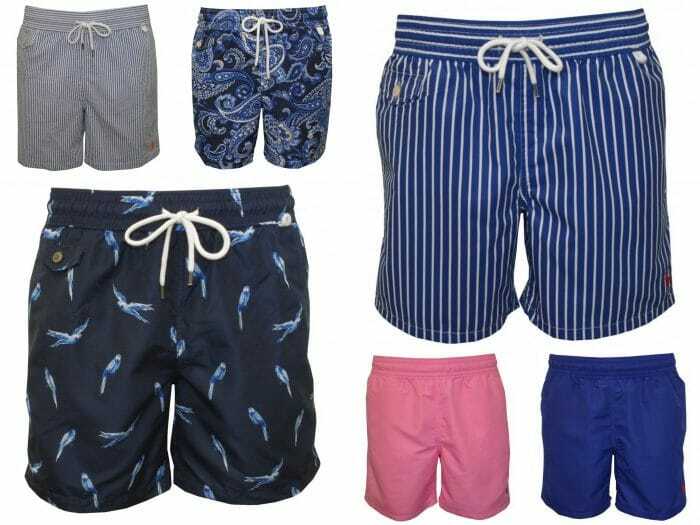 I know we shouldn’t have favourites but when it comes to men’s swimwear Ralph Lauren always hit the mark. Personally if I’m going to invest in my swimwear I want quality and a classic style, and Ralph Lauren swimwear always tick both those boxes. I’m also particularly fond of stripes (cliche I know) and their collections usually feature a couple of stripes to satisfy my nautical appetite. While I love men’s swimwear that features bold patterns on others, if I’m feeling brave I’m partial to block colours. Ralph Lauren manage to tow the line well between bright and classic, it might have something to do with that magic polo little logo perhaps. We have compiled a little edit of our favourite pieces this season and wanted to remind you that we offer 10% off your first order…This Toucan print is a firm favourite in the office, we love an off beat print in classic colours, perfect for pairing with a white men’s t-shirt. A paisley print is usually considered rather feminine, but the blue hues in this pair of swim shorts is perfectly masculine. Finally, this pink pair of swim shorts teamed with a tan slide, would really make the girls or boys wink 😉 Come on Summer, we are ready for you!!! !